It was my last day of leave today, and I left the boys in Lance’s care (he’s on leave for the whole week 🙁 ), and met up with my mom (you have to visit her blog if you haven’t already) for a coffee date at Vovo Telo in Parkhurst. It’s a bakery/cafe that’s recently opened it’s latest branch on 4th Ave.
First I need to say that I wish I could meet her for coffee more often. When I was on maternity leave with both boys, I would meet her regularly for coffee in the mornings, and I miss it. She also likes browsing shops as much as I do, especially interesting little decor and clothing shops so it’s always nice to wander around with her. And such awesome coffee too!! I just loved the decor and the way that they kept the pressed ceilings in the building. As for the food, I’m going to have to go back there for a lunch because I loved the sound of the lamb burger as well as the black forest ham and strawberry pizza! I’d already had breakfast, so opted for the pain au choc… which is the rolled pastry with chocolate and covered with toasted almonds in the photo above. It was stunning because it wasn’t too sweet. I simply love wandering around Parkhurst, so after the coffee we went window shopping… and I was so very tempted to buy a dress… in fact, I think I’m going to have to go back there… maybe on the way home from work one evening. Hmm… I just love shopping! Wow! You’ve made me hungry! Those pics look divine! And a lamb burger? I’m so there! 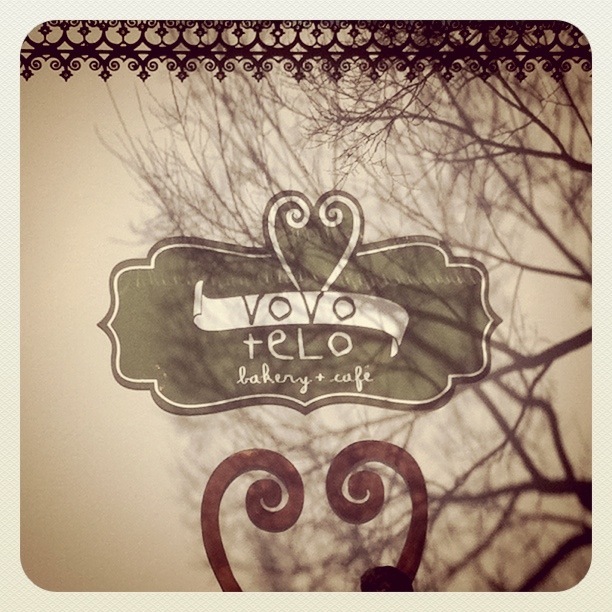 Heard so many good reviews of Vovo Telo, dying to try it! Awesome! The one is 44 Stanley is Bry and our fab breaky spot! 🙂 wish I could have joined you for coffee! Sounded so cool!!! That pain au choc looks and sounds so yummy. I had the lamb burger at the one in PE. It was awesome!